This couple in Sierra, Nevada landed the jackpot when walking their dog in the backyard one summer. Spotting a rusty canister in the ground, they dug it up and discovered a bunch of gold coins inside. 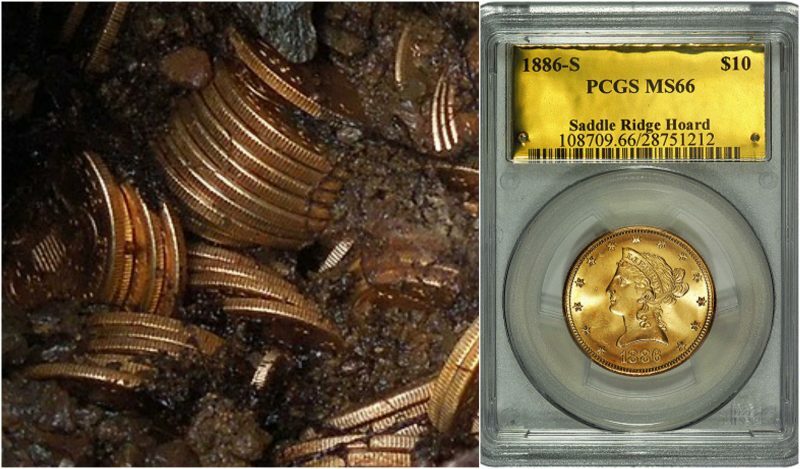 After having them evaluated, it was determined they were gold from the 1890s and worth over $10 million. Talk about a lucky find! Historian Stephen Davis from England was in the midst of researching his home’s history when he discovered a text referencing ancient stones on the property. He ended up finding the stones in his backyard, covered in ivy, which was believed to date back to the Bronze Age of 2,500 BCE. 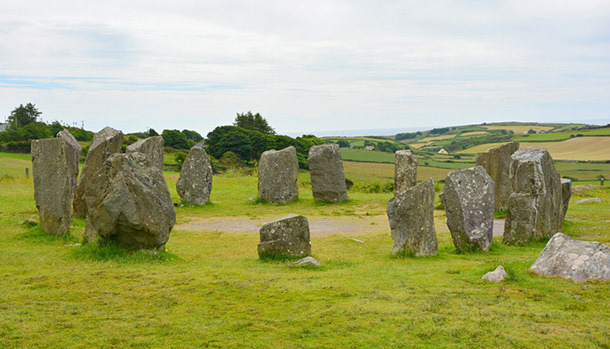 Currently, the Historic Buildings and Monuments Commission in England is expected to declare the find an official ancient monument. How cool is that? 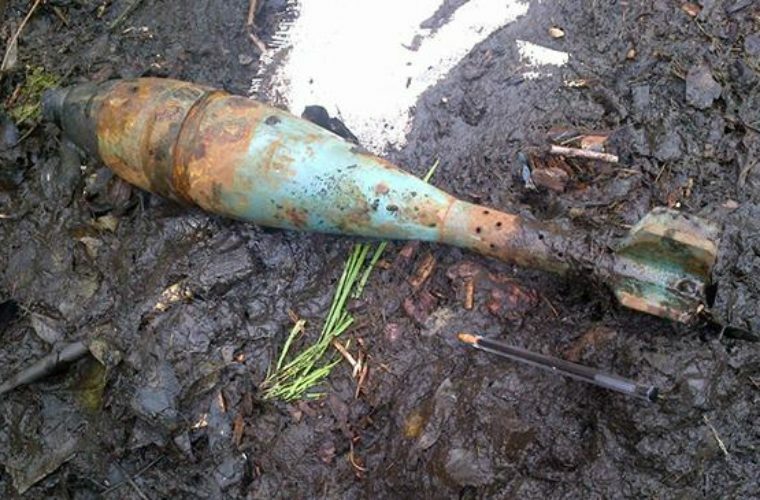 While installing some pipes in his backyard back in 2013, a man from the Czech Republic discovered some large metal objects deep in the soil. 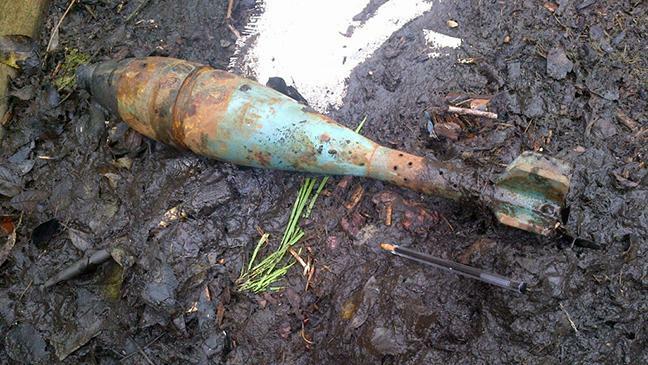 After digging them out, they were revealed to be 400-year-old church bells. 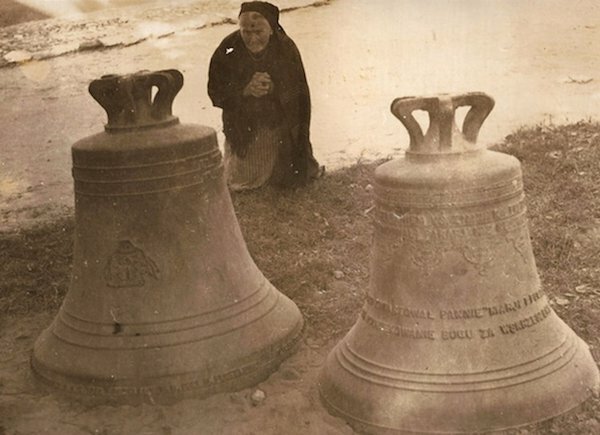 Later, the bells were determined to have been stolen 11 years prior from a church that was nearby. 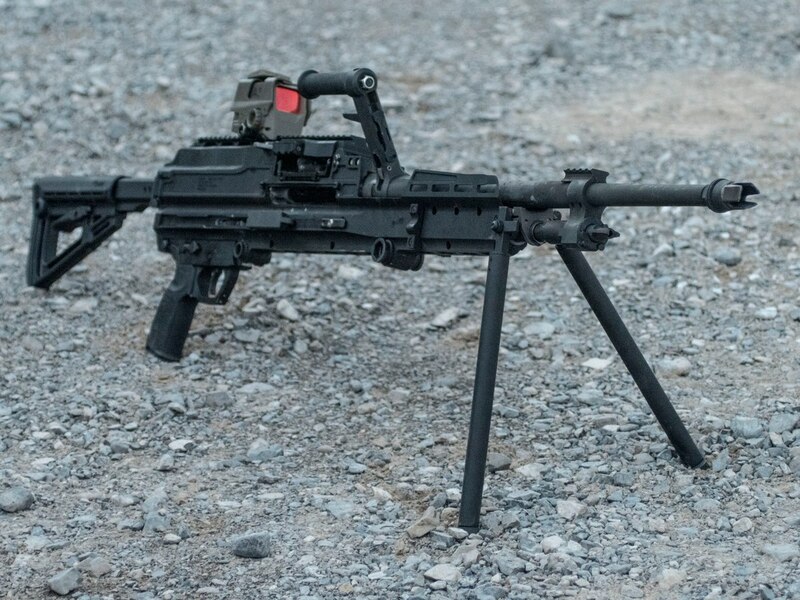 A man living in Calgary, Canada made a shocking discovery in his backyard where he found a random pillowcase that contained a machine gun and a cell phone. Even creepier…the machine gun was loaded. Not the most settling find that’s for sure. Imagine discovering a buried cemetery in your backyard. Sounds like something straight out of a horror movie, right? Well, for Vincent Marcello in New Orleans it actually happened when he was digging in his yard to build a swimming pool. 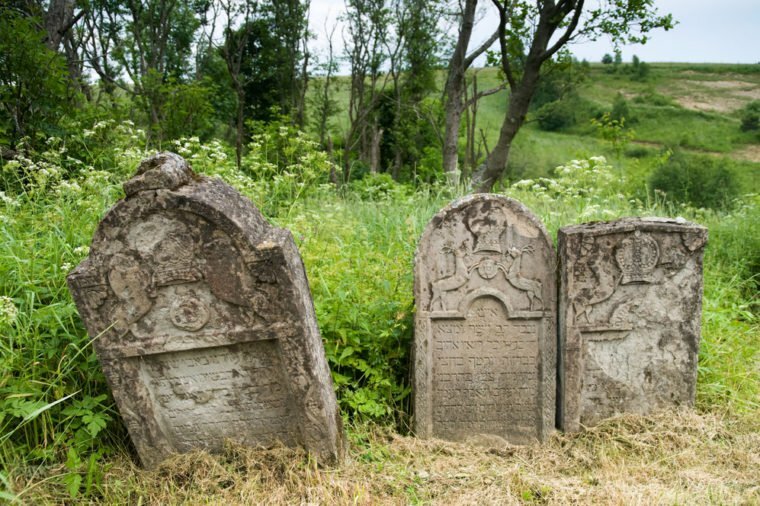 The historic cemetery he found dated back to the 1700s and yes, there were remains as well. We’re not sure we’d want to live there after that. Eric and Andrew, two boys from Detroit were playing in the creek that flowed through their backyard when they noticed a strange rock sticking out of the ground. 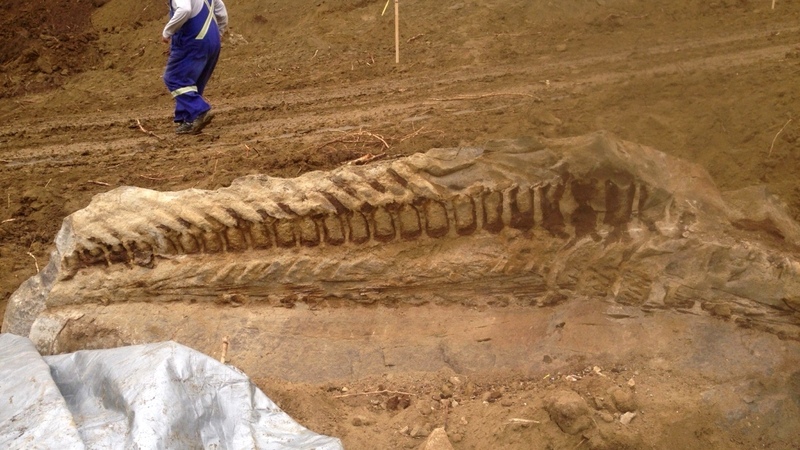 After digging it out, it was determined to be a mastodon fossil that was well over 13,000 years old. How crazy is that? People who live in Florida know that it’s common to find an alligator sunbathing in your backyard from time-to-time but that also doesn’t make it any less scary. 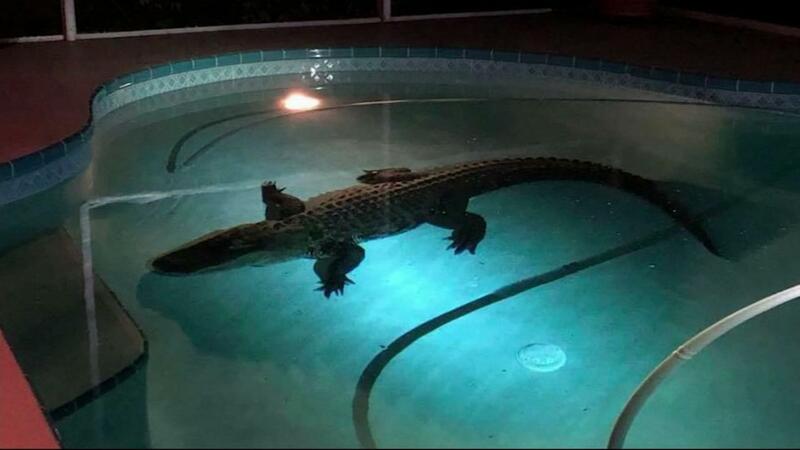 One couple living in Bradenton got a real fright when the found a nine-foot alligator cooling off in their pool. Thankfully, it was removed without incident. 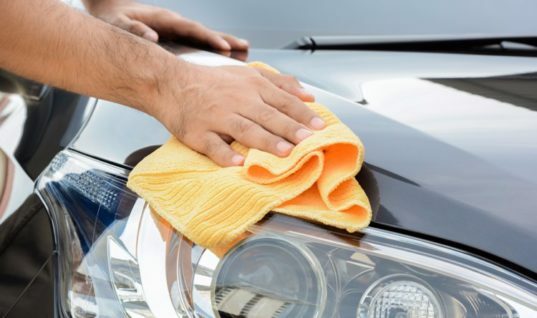 After losing his job, Wyne Sabaj was pretty down on his luck. 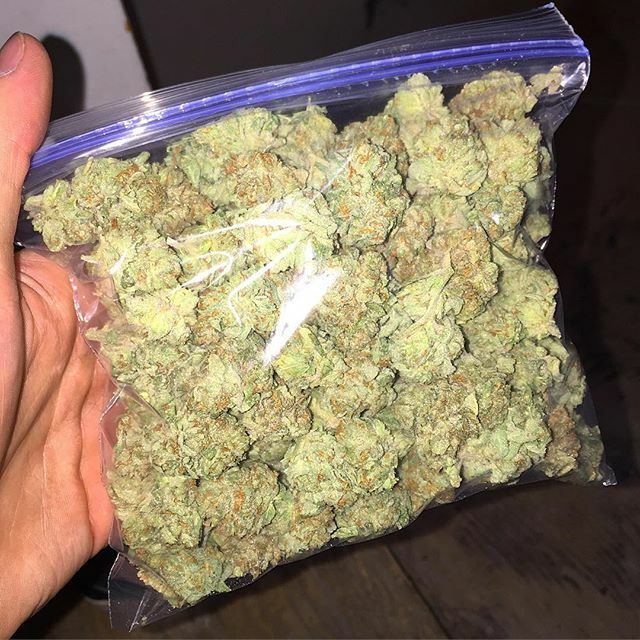 However, one day when he was picking broccoli in his garden, he discovered a bag of $150,000 in cash. He reported the money to the police and was told he could have it if no one else claimed it. Unfortunately, ten days before Sabaj was set to receive his prize he died. Talk about bad luck. 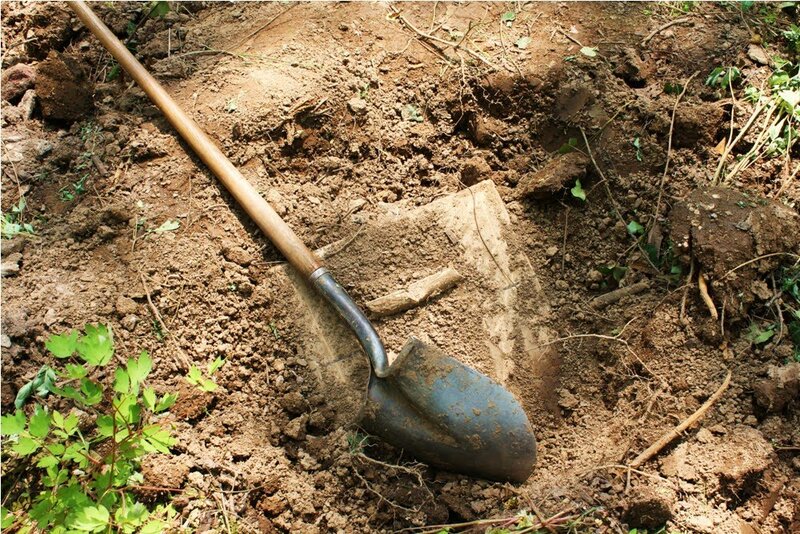 A man from Salt Lake City, Utah made the unfortunate discovery of human remains when digging a pond in his backyard. After calling the police, the exhumed skeleton was sent to be tested. 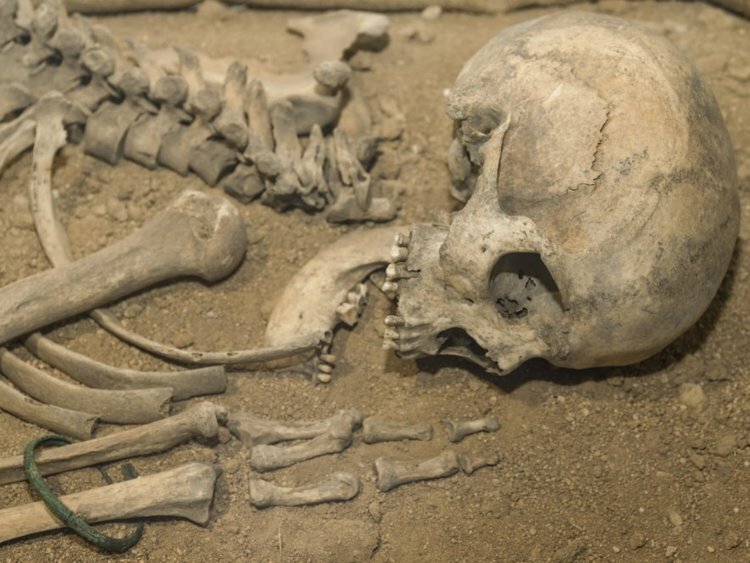 It was determined the bones belonged to a Native American who had died over 1,000 years ago. A man living in northern Bosnia has had meteorites strike down in his backyard over SIX times! Usually, the possibility of finding a piece of a meteorite is extremely rare yet somehow he’s had the luck of six pieces landing on his property. Now, he believes that aliens are trying to attack his house. We can’t blame him. Finding buried treasure seems like something that would only happen in the movies, but a man in Austria found a 650-year-old trove of treasure while digging a garden pool back in 2007. 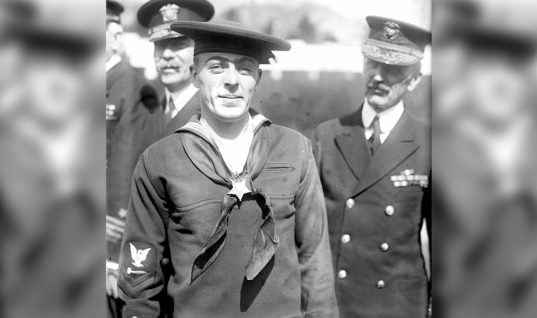 The box contained rings, brooches, belt buckles and other fragments of jewelry. We’d be getting that appraised ASAP. Apparently, over a thousand homes were built on a 12,000-acre area that used to be a World War II bombing range in Florida. Since this information went public, bombs have been discovered in the area. Some in people’s backyards and one even in a school field. While a large scale clean up of the area has been underway, the dangers of discovering one of these World War II relics is still quite high. While attempting to build a fence in his backyard, John Lambert from Ipswich, UK noticed a large bone jutting out of the ground back in 1997. He ended up letting the bone rest in his shed for 16 years before he finally took it to the local museum. 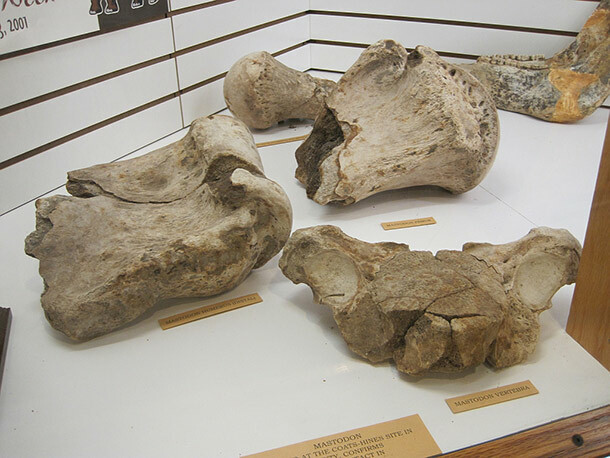 There, it was analyzed and identified as a 250 million-year-old pliosaur bone. How cool is that? Even weirder, the pliosaur was not known to migrate in the waters around the UK, so its presence in the area is a total mystery. Imagine looking out your kitchen window and spotting a confused celebrity in your backyard! 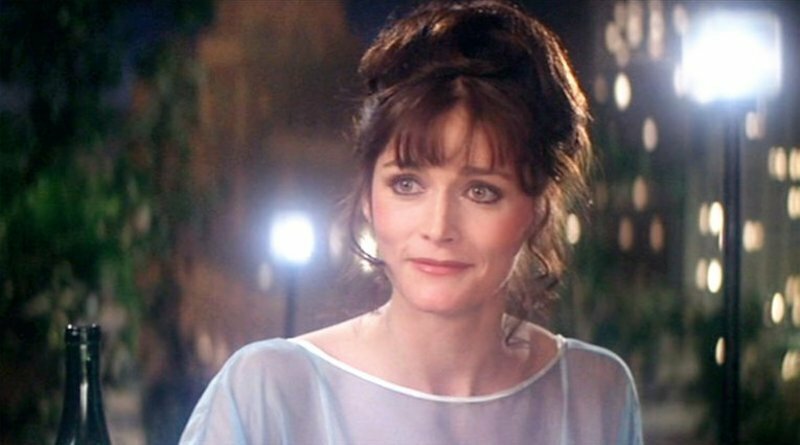 Well, in 1996, actress Margot Kidder, best known for her role as Lois Lane in the original Superman films was found dazed and confused in someone’s backyard. She had been missing for three days and dealing with financial/health problems at the time. Kidder would eventually be diagnosed as bi-polar and placed in psychiatric care. 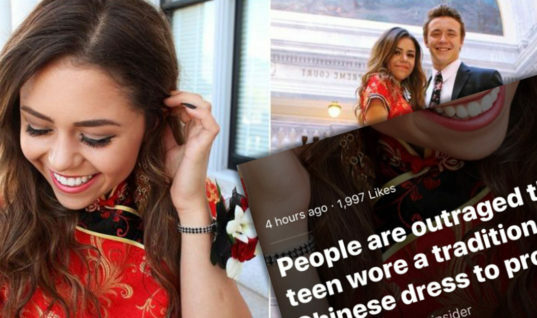 Sadly, in 2018, she committed suicide. After noticing a large rock sticking out of the ground in his backyard back in 1978, Gary Johnson believed he had stumbled upon some sort of fossil. 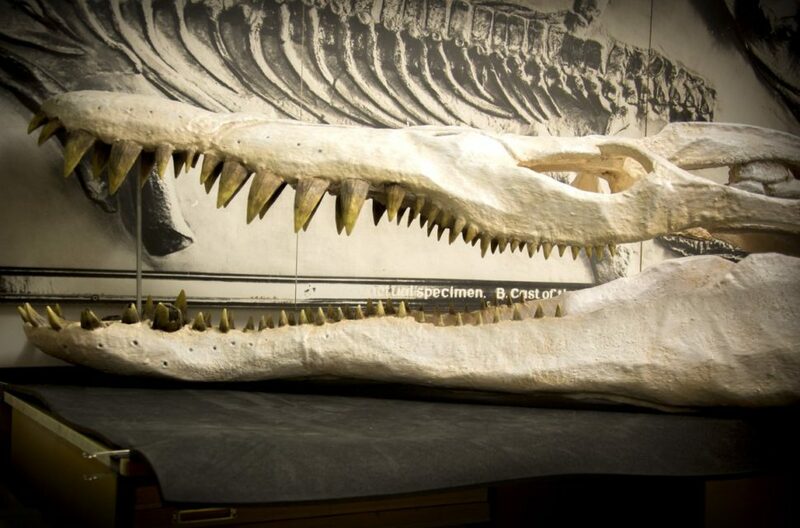 However, it wouldn’t be until 2014 that the National History Museum would excavate the stone and discover it was the remains of a baleen whale from 16 million years ago. Talk about an incredible find! A nine-year-old boy from the UK was playing in his backyard when he discovered a cheetah lounging in the garden. 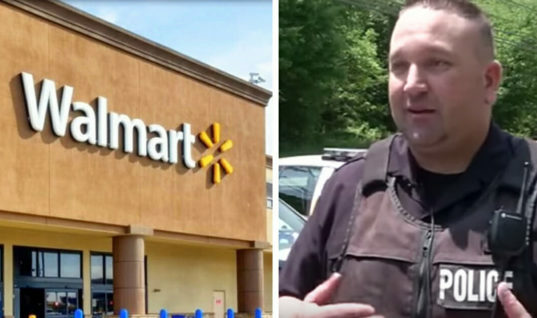 When he ran inside to tell his mother, she originally thought he was joking. However, when she looked outside, she saw the predator with her own eyes. 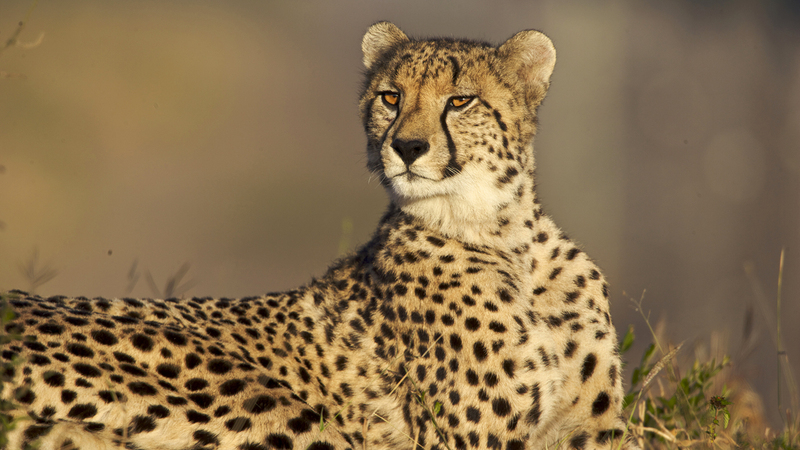 It seemed the cheetah had escaped from a local animal sanctuary. Thankfully, no one was harmed and it was safely transported back. 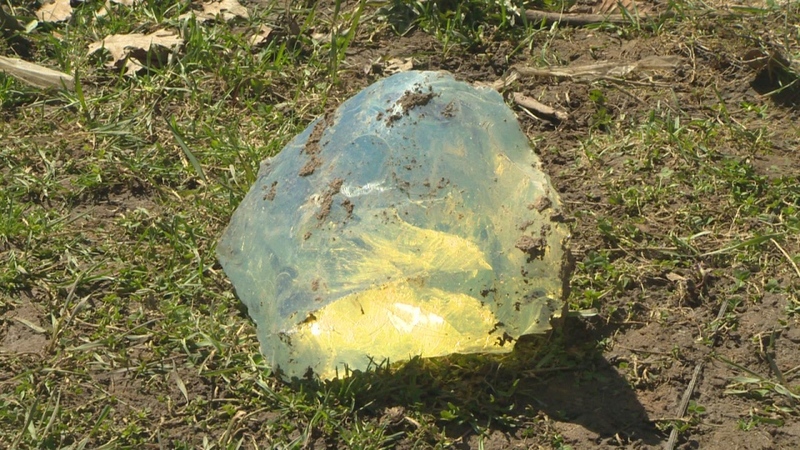 When digging for worms for an upcoming fishing trip, two sisters living in Kitchener, Canada discovered a very strange transparent object in the ground. 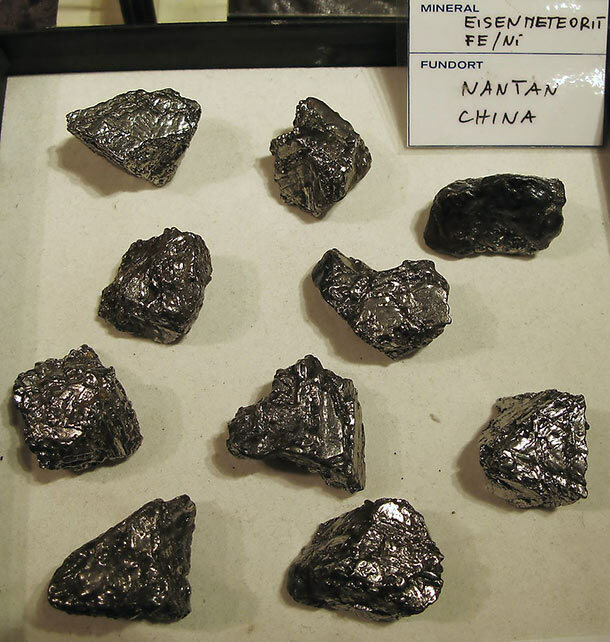 Believed to be a possible meteorite, they contacted an earth sciences professor to examine it. Disagreeing with their assessment, a gem expert by the name of Gary Winkler was brought in to look at the strange transparent rock. According to his analysis, it was unlike any gem he’d ever seen and didn’t think it was natural. Despite the mystery, the sisters decided to keep their exciting and strange find. 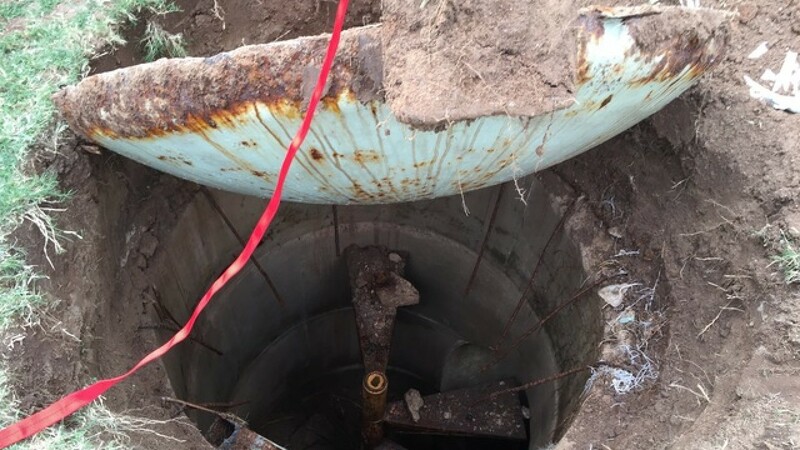 One family living in Neenah, Wisconsin got the surprise of their lives when they discovered a buried hatch in their backyard. Too scared to open it, they left it alone for years before curiosity finally got the best of them. After opening the hatch, it was revealed it led down to a Cold War-era fallout shelter. Inside they found clothing, medical supplies and expired can goods. Back in 2011, a California man discovered an 8.2-pound gold nugget buried in his backyard. 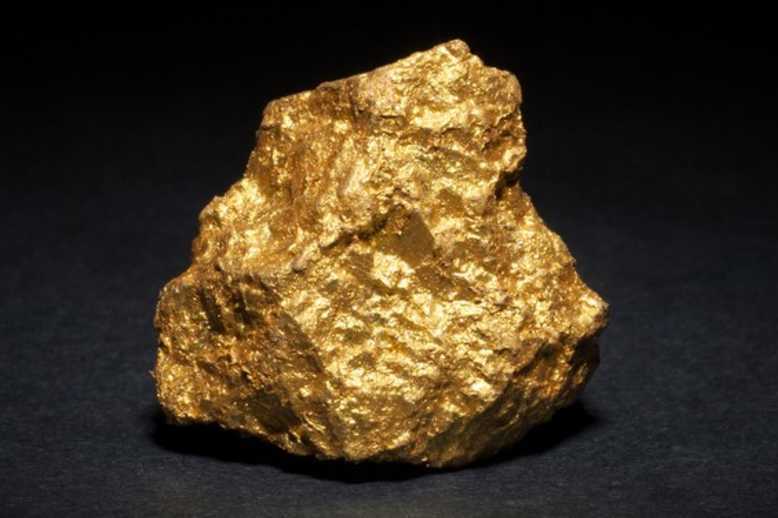 The amazing find was sold at an auction for $460,000 and a local geologist believed there was most likely more gold on the property. Not wanting his backyard to become a target for gold hunters, the man remained anonymous so he could keep digging in peace. 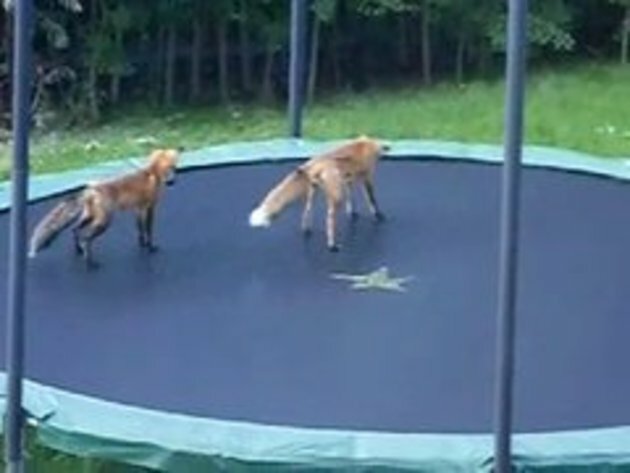 One young couple woke to a surprising site one morning–two young foxes jumping on their backyard trampoline. It seemed the two nocturnal friends were just looking to blow off some steam and have some fun while the homeowners slept. While installing solar panels in his backyard, Los Angeles resident Mack Reed stumbled upon $175,000 worth of marijuana. While he considered making a profit of the find, he knew it would be in his best interest to report it to the police. Afterward, he placed a sign in his yard saying he found it and the police were now watching the property. 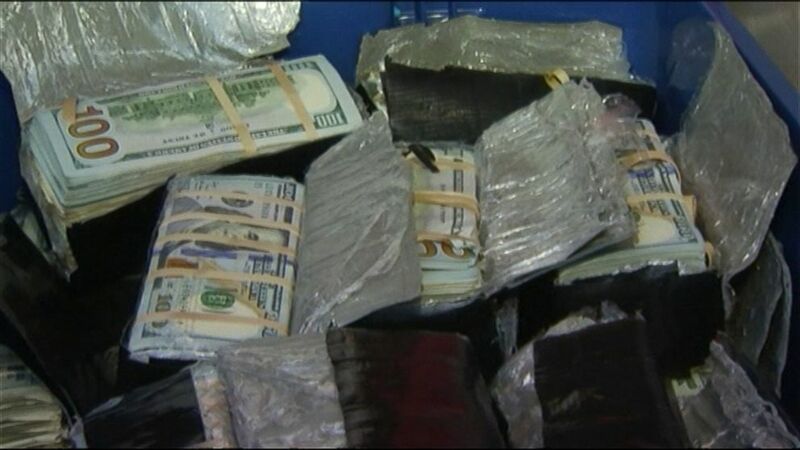 Lesson to be learned here…don’t bury your stash in a stranger’s yard. A man living in China was hanging clothes to dry in his backyard when he was frightened by what he thought was a large snake. 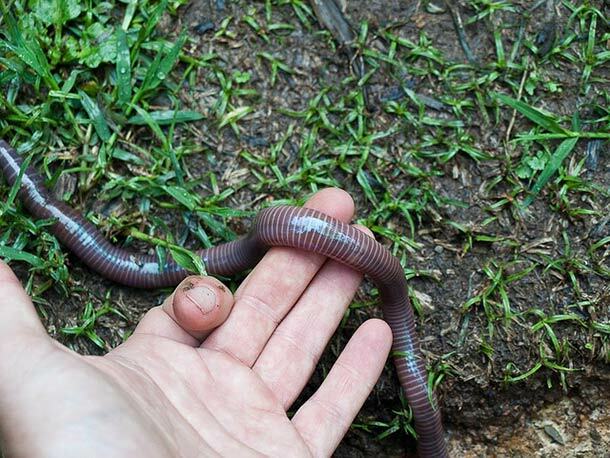 However, after closer inspection, it was revealed to be an earthworm over 20 inches long! Local biologists were brought in to analyze the large creature and believed the worm grew so big due to being in an open environment. 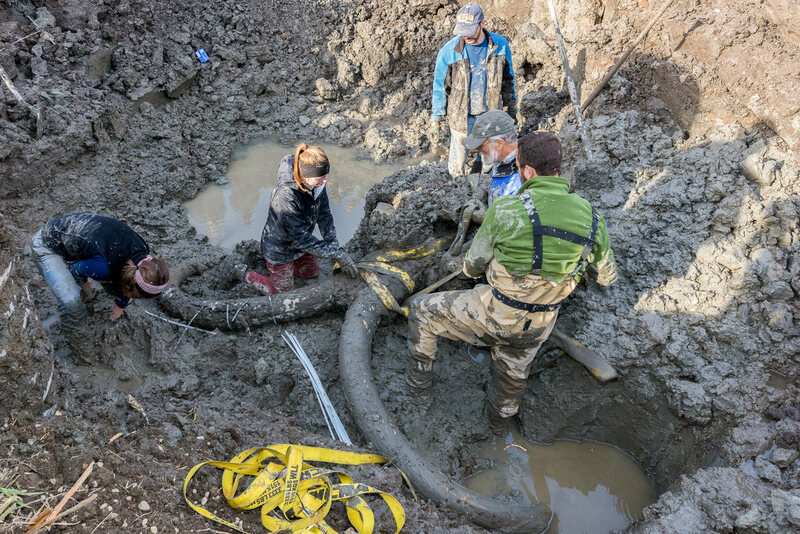 A farmer in Utah made an amazing archaeological find while digging on his property…an entire mammoth skeleton! The local university turned his backyard into a full-blown excavation site and they determined the mammoth was over 12,000 years old. Talk about a rare and historical find. 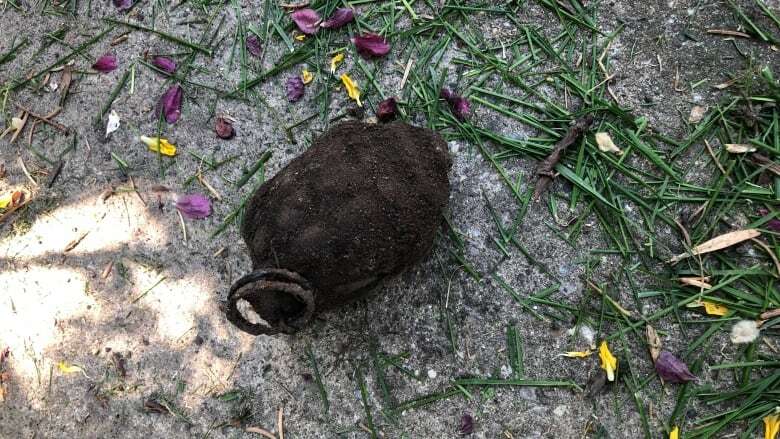 Back in 2013, a man from the Czech Republic discovered a large swatch of grenades and TNT explosives in his backyard while digging out some tree stumps. After calling the police and the bomb squad, it was determined the explosives were from World War II. Thankfully, they were all removed without incident. 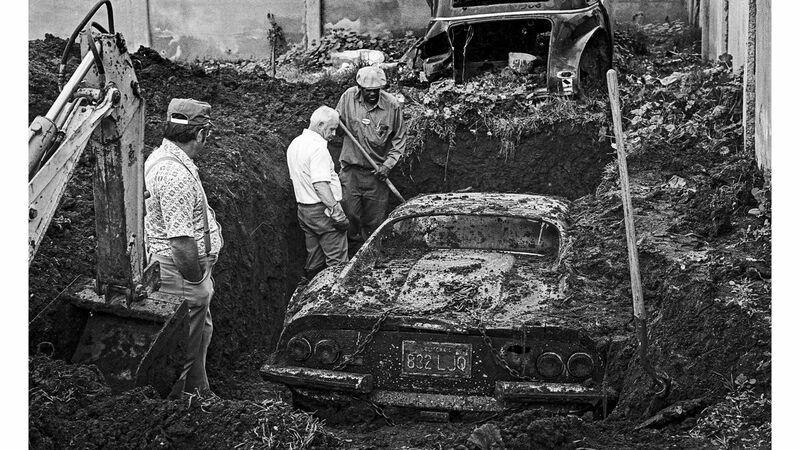 A man and his two children were digging in his backyard in Los Angeles back in 1978 when they uncovered a fully intact Dino 246 GTS Ferrari. Apparently, the car had been stolen years earlier and then buried in the yard without any of the residents noticing. According to the local police, the car had been involved in an insurance scam. How bizarre! 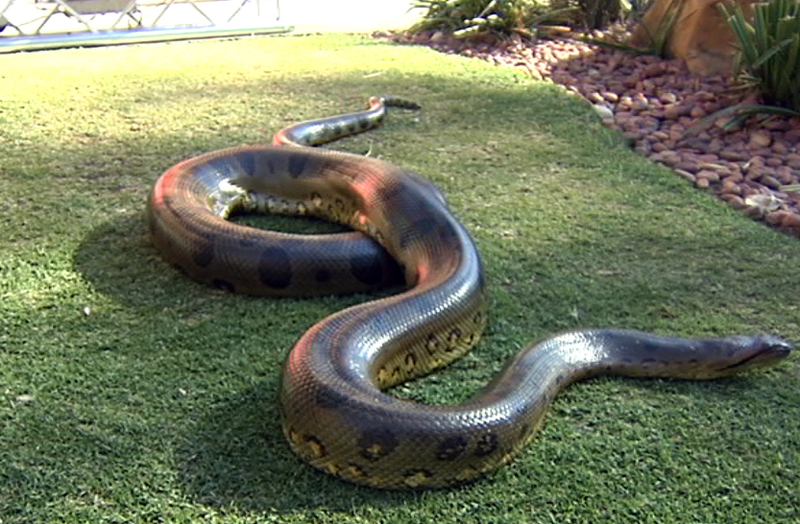 One unfortunate man came home from work one day to find a nine-foot anaconda hanging out in his yard. Where’s Jennifer Lopez when you need her? After overcoming his initial shock, he called the local authorities and the snake was removed from the property unharmed. 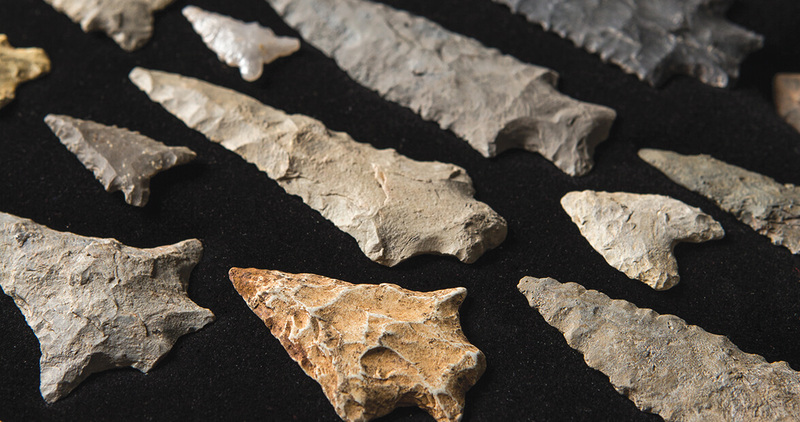 David Ford was out in his backyard in Florissant, Missouri when he discovered what looked to be an artifact that was Native American. After having it examined by local experts, they determined the stone piece was over 1,000 years old. Talk about the find of a lifetime. 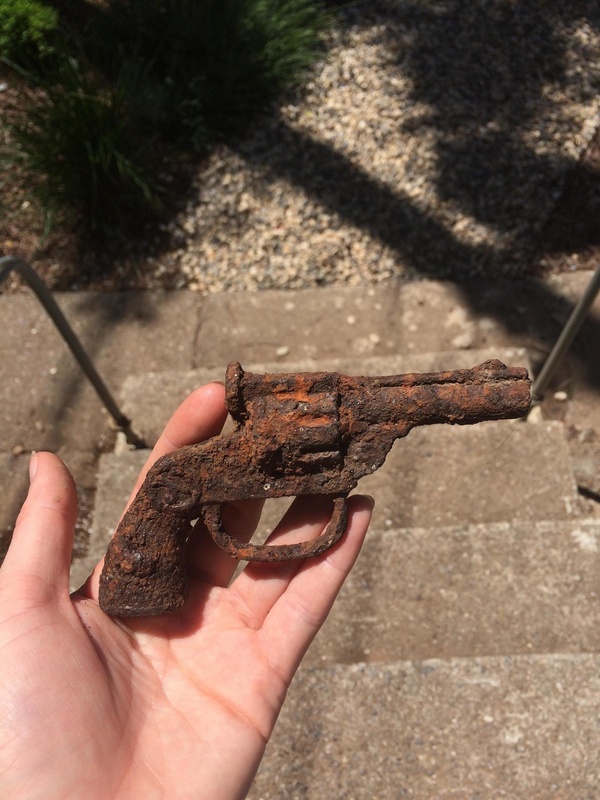 An anonymous man reported that he was digging in his backyard when he stumbled upon an old cast iron pistol. It’s believed these pistols were quite common during the later 1920s. They would eventually be phased out in 1950. What do you think it would get at auction? 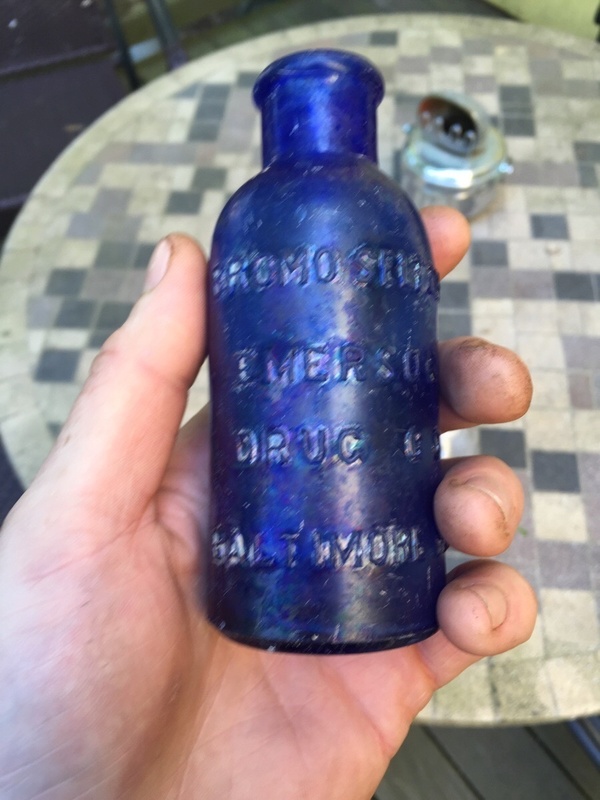 While this find isn’t the most exciting, this gentlemen discovered a bottle buried in his backyard that was well over 100-years-old. During that time, rather than throw trash away, many people buried it in their yards. Who knows what all could be found deep in the dirt? 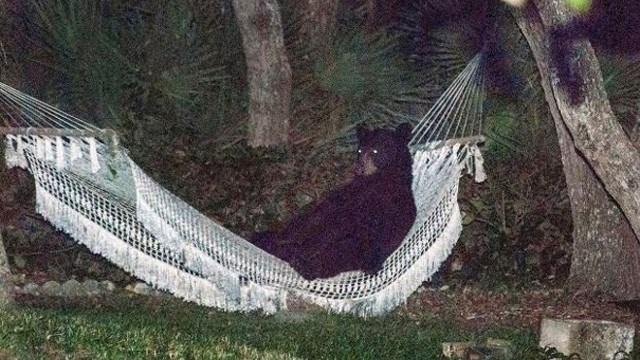 A couple in Daytona, Florida got the shock of their lives when they discovered a black bear hanging out in their hammock one evening. While that may seem like an odd occurrence, in Florida black bears are common in that area and can wander into residential neighborhoods. We’d be scarred for life!